Despite claiming a first mainland victory, trainer Scott Brunton says Tasmanian filly Lady Pluck wasn’ta t her best at Caulfield. Now a winner of four of her six starts, Lady Pluck was sent out the $3.30 favourite before winning the Walk For Phil Handicap, holding off fast finishing Rapidora. Lady Pluck had to do it tough racing three wide, but Brunton was more concerned with her antics pre-race. He said the filly can be hot-headed and wants to get her back to his seaside training set-up in Tasmania. “She gets herself worked up, so we’ll take her home to her own environment,” Brunton said. “She’s a really good galloper but not at her best while doing things like this. Saturday’s victory was the second mainland trip for Lady Pluck after she finished third at Flemington last September. Brunton said that trip wasn’t kind to Lady Pluck. “When we got her back home she was a mess,” Brunton said. “We’ve got a great set-up at the beach back home and our results of late have shown we can match it with the big boys any day of the week. “We’ll take her home and see how she comes through this run. 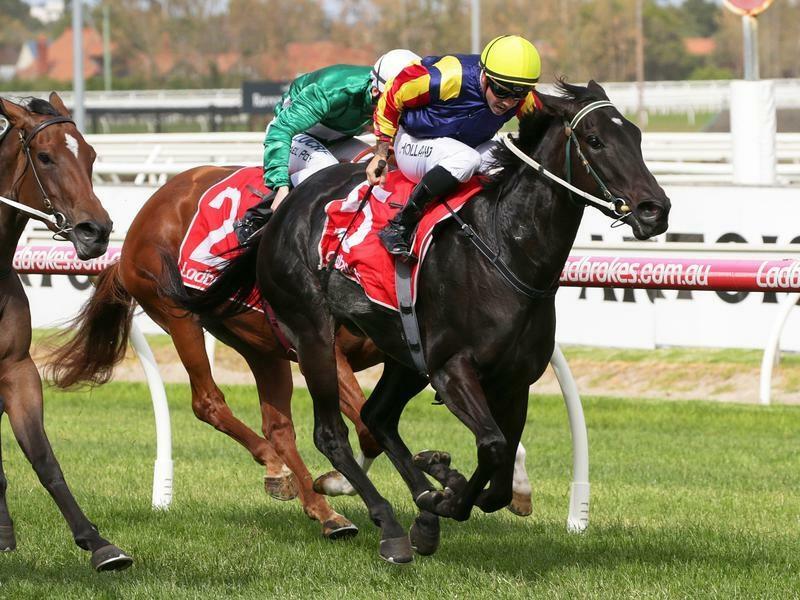 Lady Pluck’s victory was Brunton’s fourth in Victoria from his past four starters.